As promised, today was the day Nintendo finally revealed the first footage from the new Super Smash Bros. games, and it has a couple of surprises. As with previous games, the games’ trailer – seen above – features series classics Mario, Bowser, Link, Kirby, Pikachu, Fox McCloud, Samus, and Pit, all with appearances inspired by more recent Nintendo games. However, the trailer also shows two new characters– the Villager from Animal Crossing and Capcom’s mascot Mega Man – and several new stages, including Skyloft from The Legend of Zelda: Skyward Sword and Arena Ferox from Fire Emblem: Awakening. In addition to the characters, the trailer shows that the 3DS and Wii U editions have similar-but-different art styles– the 3DS edition looks closer to Super Smash Bros. Melee on Nintendo GameCube, while the Wii U version looks more like an evolution of the design seen in Super Smash Bros. Brawl for Wii. Alongside the trailer, Nintendo has updated the official Super Smash Bros. website with information on the new characters. It’s unknown as to whether or not Nintendo intends to update the website frequently with news on the games. The currently untitled Super Smash Bros. games for Nintendo 3DS and Wii U will be released next year. The games are in development at Sora and Namco Bandai. 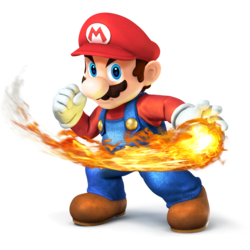 CapcomE3 2013FeaturedMega ManNamco BandaiSora Ltd.Super Smash Bros.
Capcom, E3 2013, Featured, Mega Man, Namco Bandai, Sora Ltd., Super Smash Bros. I thought the same thing at first, but the trailer sold me on her. She looks awesome. Also, that is a terrible movie. From the official Smash Bros. website I’ve noticed a couple things. First, Villager and Wii Fit Trainer appear to be Wii U exclusives since every other character has screens of them in the 3DS version except these two. Sakurai said the two games will have the same number of characters. Interesting choice of words. The same number of characters, not the same characters. 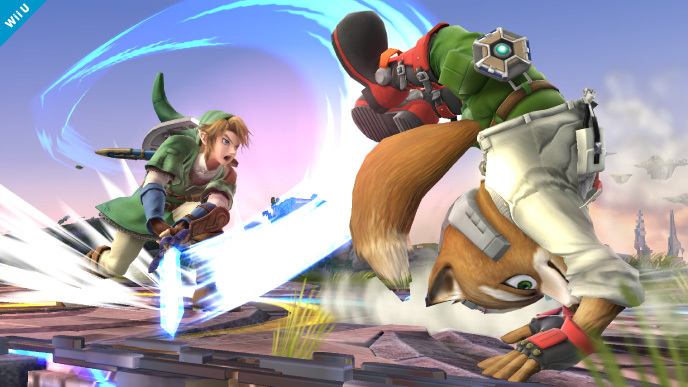 Secondly, Toon Link probably has been kicked from the roster since he’s part of the Spirit Tracks stage now. It’ll be weird if you can play as Toon Link while another Toon Link appears as the conductor of a train. So he’s gone (I won’t miss him). Olimar’s been confirmed! Like I said above about Villager and Wii Fit Trainer, since all the screen-shots are from the Wii U version of the game, I’d say Olimar won’t be appearing in the 3DS version. Now if they announce R.O.B. and Pokemon Trainer I’ll be ecstatic! ………………….yeah, I think Olimar was my least favourite in Brawl. It took a lot of practise to be good with Olimar but he is now one of my mains (along with R.O.B. and Pokemon Trainer). He’s small, has a great meteor smash, and can rack up damage really quickly. The only downside is his recovery. TRI89 always has a tough time when I’m Olimar. But it doesn’t even look like a stage. Where would you be fighting? They’ll probably pull a Smashville / Skyloft. Maybe. But floating around a flat stage like that would look weird. A stage from Metroid: Other M has been revealed. Not sure what the stage will be doing that’s new (aside from Ridley as a stage hazard, apparently), but damn those visuals. The level looks great. 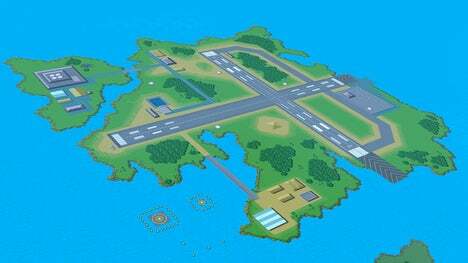 Now we just need a stage from Prime 3 and I’m good on Metroid levels. Though keeping Frigate Orpheon in would be pretty cool too. I never thought about that. 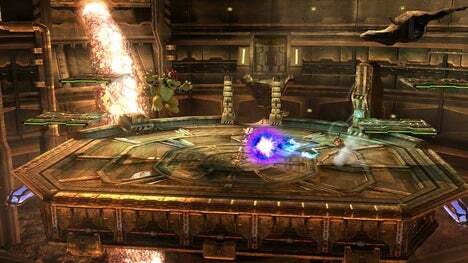 Since many people keep begging to have Ridley as a playable character (which is impossible since he’s just too big) he’ll probably be a hazard on this stage like Kraid was in Melee. Cool. Yeah, I’ve always wondered how people think he can be playable… He’s humongous, and sizing him down would be a pretty big disservice to him. 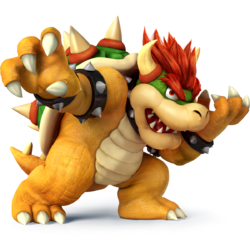 He’s flipping huge in every game aside from the original Metroid. Villager and Wii Fit trainer have been confirmed for the 3DS version. Olimar is the only one now who doesn’t have any 3DS screenshots. Both the Wii U and 3DS games have the same exact cast of characters. It’s the stages that differ, which is also why the two versions can’t connect for multiplayer, and only for character customization. I don’t think there will be more than 4 characters per franchise, so here’s the Mario roster. 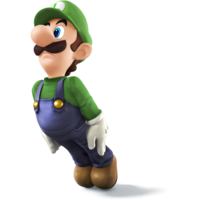 Actually, in SSBB, Wario wasn’t technically a Mario character since his emblem was a ‘W’ not a super mushroom. So Wario could be in these games, as well as other characters from the Wario franchise: Jimmy T., Mona, 9-Volt, Kat & Ana. They could all be a part of the roster but they won’t be considered Mario characters. You didn’t mention Waluigi. Why not Waluigi? Because Waluigi has never appeared in a Wario game. Waluigi’s only appeared is sports titles and party games as far as I know. This honestly surprised me. I didn’t expect for him to come back. Hope his moveset is very different from Link this time around. I’m glad Toon is in again since he was one of my mains in Brawl, but oh my GOSH does he look so weird in his screenshots. I haven’t been bothering to keep up with any of this but this makes me happy because he’s SUCH A CUTIE AND I’M GLAD HE’S COMING BACK. 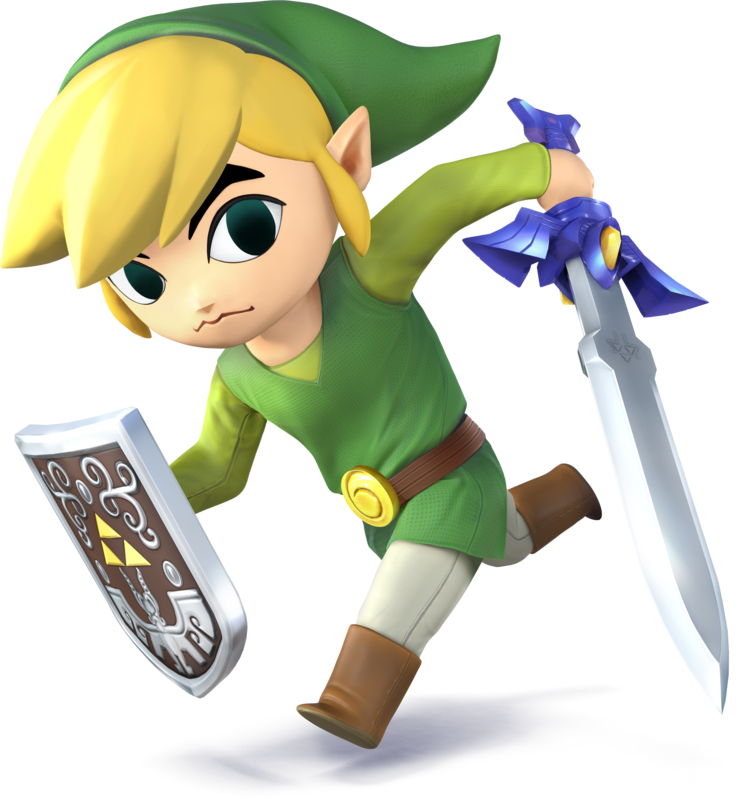 ♥ Toon Link is probably my favourite character in Brawl so I’ll go against the grain and say I hope they don’t really change him much, even if he’s a Link clone. Link is just too slow for my tastes. I just want him to use the Deku Leaf and the Skull Hammer in some way. 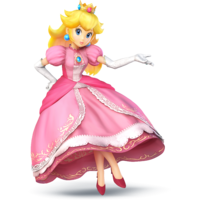 I think Daisy would just be a clone of Peach but with flower effects instead of hearts. 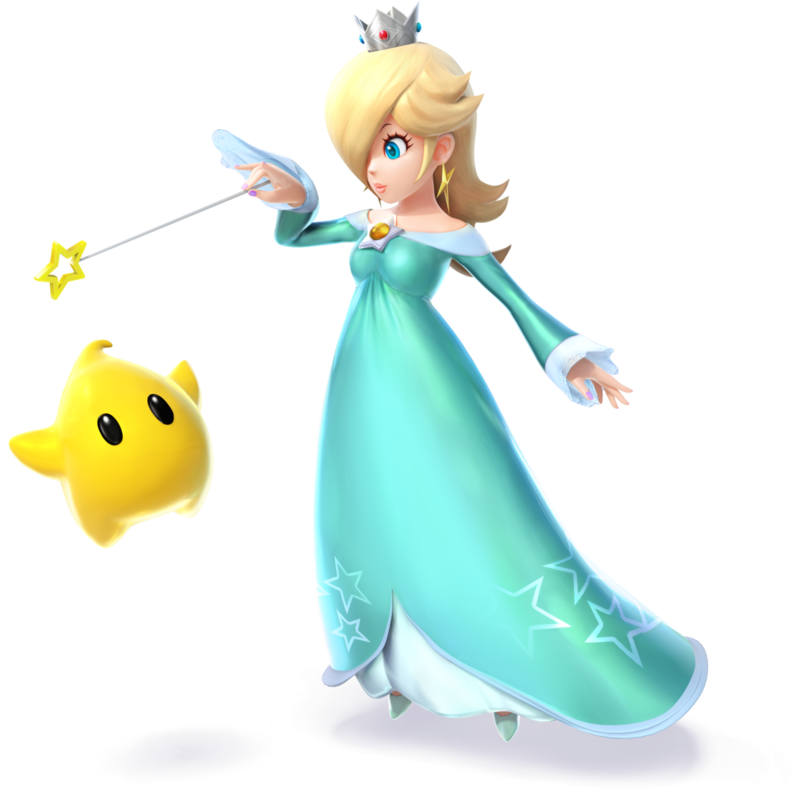 Rosalina’s style of fighting seems really unique. From what I can tell, she seems to be a hybrid of Olimar and Ice Climbers.